With the Ford Dining Table from Zuo Modern, you can reap the benefits of a superb table that will pop in any modern or retro dining room. This first-rate dining table includes solid Acacia wood construction, guaranteeing long-lasting quality. 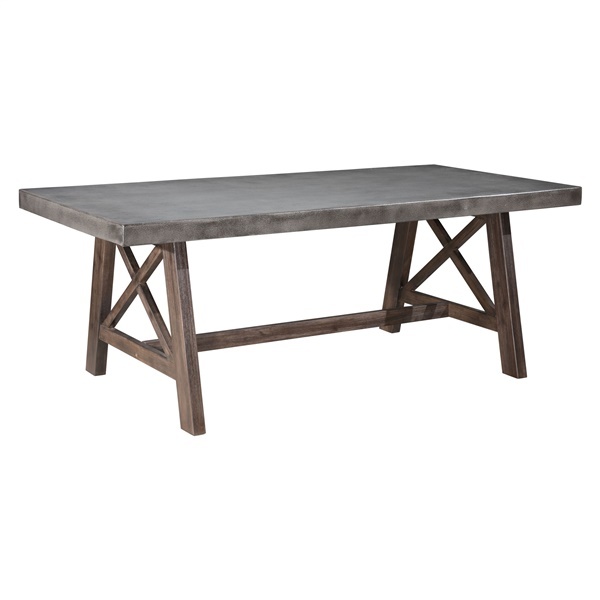 In addition, the table includes a stunning dark walnut stain finish and a poly-cement cover that ensures the table is easy to clean at all times. Select a dazzling dining table that will serve you well for years to come � the Ford Dining Table. Boasts a superb dark walnut stain finish that gives the dining table a dazzling appearance. Distinct design ensures the table will perform beautifully in both indoor and outdoor settings. Includes a poly-cement cover that guarantees the table is easy to clean at all times. Features a strong, versatile Acacia wood base. Offers a spacious tabletop, making it easy to host both big and large dinner parties.